Last summer I got my hands into a pair of completely black Powell Lacrosse Switchback gloves. 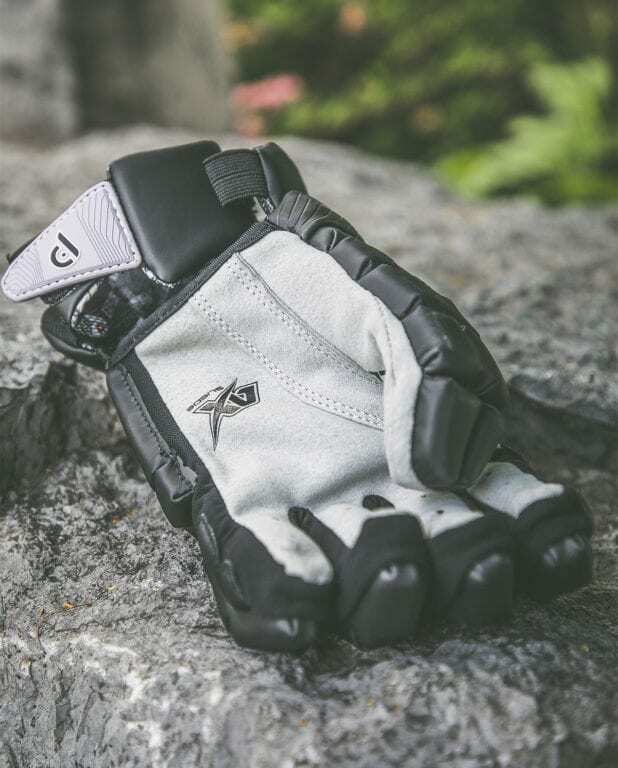 After a summer of field games and a winter season of box I’m ready to review these gloves and let you know my thoughts on Powell’s first protective offering. 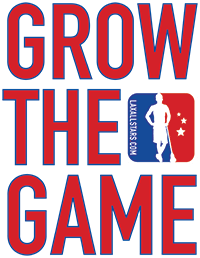 Here’s a hint: it’s good. It’s really good. The Switchback stock gloves are available in a classic all black or a snazzy all white, but teams can also place custom team orders, with a lot of options available. 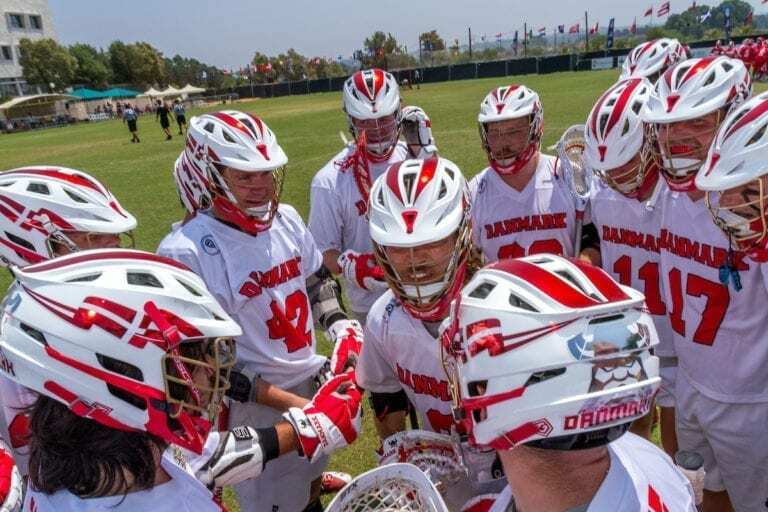 This summer we saw Poland and Denmark wearing Powell’s gloves at the 2018 FIL Men’s Field Championships, and a number of programs stateside are also using these gloves now. If you haven’t seen the gloves in person or tried them for yourself, please allow me fill you in. When you first put the gloves on they fit nice and snug. They are not bulky in the least, and provide excellent range of motion immediately. There are small gaps between padding in certain areas to allow for the added movement and increased comfort, but at no point over the last six months have I felt that my hands were exposed. The fingers and thumb allow for excellent range of motion and dexterity, but they also sit firmly on top of your fingers, just as they should, so protection is never compromised. There is a fine line between the extremes of comfort or protection, and Powell seems to have nailed it here by bringing both aspects together seamlessly. I’ve been really impressed by the continued high level of protection that these gloves offer, and it makes the initial comfort levels even more impressive. When it comes to really connecting with your stick, the Powell palms are extremely high quality, made from Ax-Suede, and most importantly, they are really close to lacking any seams. The soft yet durable leather palms provide the perfect connection to your stick, and you can feel the raised ridges on a shaft or where your tape stops and starts with ease. 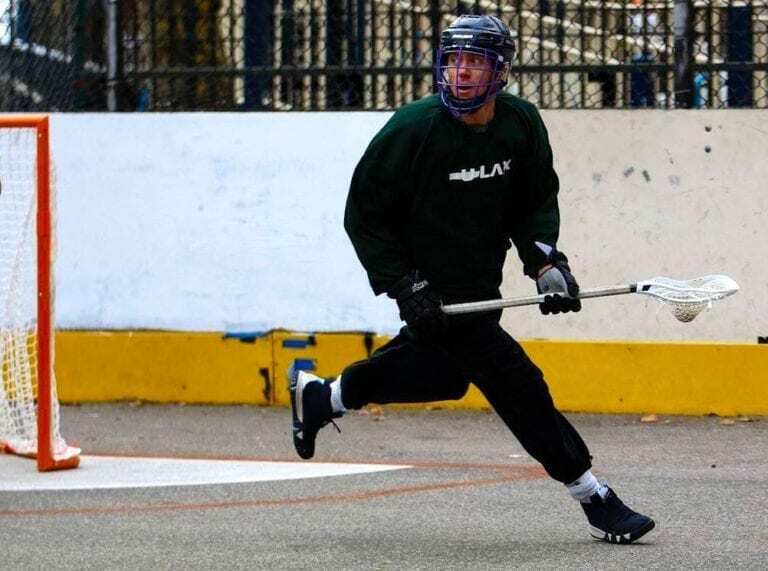 The palms broke in within moments of my first wall ball session wearing the gloves, and over the last six months they have shown no signs of wearing out or changing in quality. The palms are soft and supple, which makes them comfortable to wear, and this only adds to the great feel of these gloves. 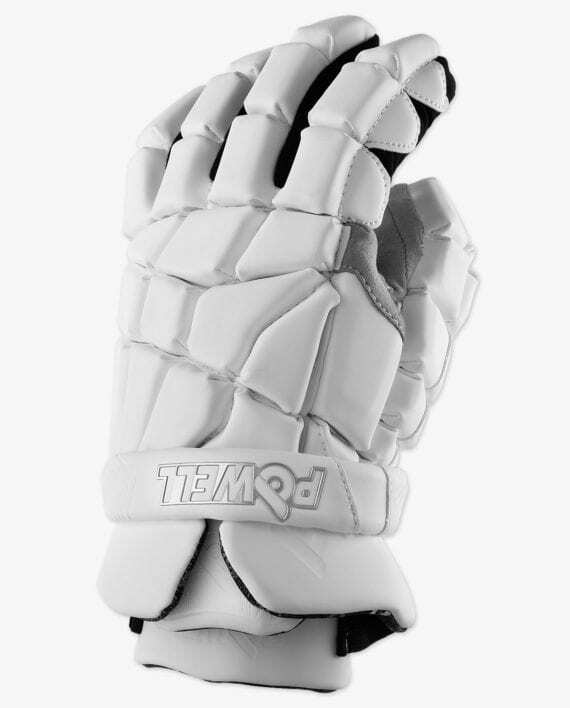 Every aspect of the Powell Switchback lacrosse glove is a testament to function. Quite simply, these gloves work wonderfully. What takes these gloves to the next level is that they function so well AND feel so good on your hands. I’m always looking for a pair of gloves that protect my hands incredibly well, but I’m also looking for gloves that don’t get in my way and almost allow me to forget I’m wearing gloves at all. The Switchback gloves have passed every test I’ve thrown at them, and they’ve done so with flying colors. If you’re looking for a pair of gloves that gives you everything you need, and nothing you don’t, I’d highly recommend this product. I have a lot of gloves in my collection, and there a number of different pairs I’d happily wear, but for the last six months I’ve been grabbing the all black Powell gloves every single time. They work. They’re comfortable to wear. And the simply classic clean all black look has me hooked. Powell Lacrosse is in the glove game, and they’re crushing it.